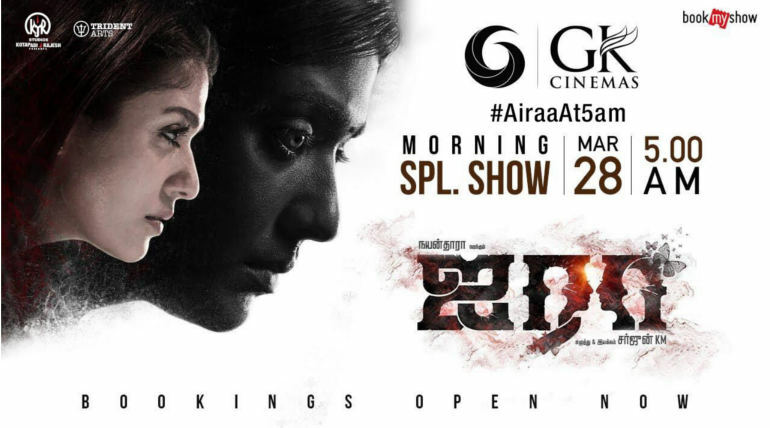 After a long wait, the first early morning show of Nayanthara starrer Airaa has been confirmed and the GK Cinemas of Porur, Chennai started the bookings for the show. While fans were all waiting for this since more than a week, finally the moment has arrived for the Lady Superstar film to take the celebrations to the next level in the capital city. Click here to block your seats through BookmyShow for the Sarjun directorial, KJR Studios' Airaa. 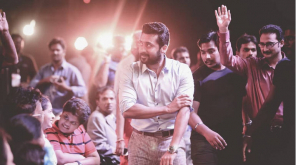 The actress already saw some special early morning shows for her previous films which tasted success at the box office. After Aramm, CoCo and Imaikka Nodigal, the next big solo film of Nayan is on cards to strike big with a promising team behind the film. 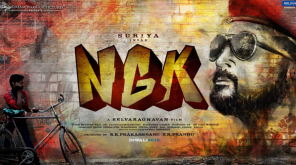 The bookings are yet to have a pick up in coming days and with two more days to release, the film mostly relies on the initial reports. 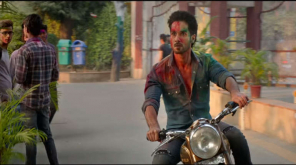 It is projected to get an average opening on Thursday and will see tough competition from another most expected film Super Deluxe of Thiagarajan Kumararaja releasing on Friday.